Efram Nissan, owner of Nissan Bros. store where we shop to help the local Christians, died last week of a heart attack. He was dancing at a family wedding surrounded by his 20 grandchildren. It was a shock to everyone. He was known far and wide by the Christians in the Holy Land and did much to support the cause of Christians persecuted both by Jews and Muslims. Everyone will miss this heroic Christian. Everyone who has traveled with us to the Holy Land will remember Efram as the man who recited the OUR FATHER for us in the Aramaic, the language of Jesus. Efrem had met the last three popes and proudly was Christian in a world that persecutes Christians. He provided employment in Bethlehem (unemployment rate of 70%) for over 65 families. 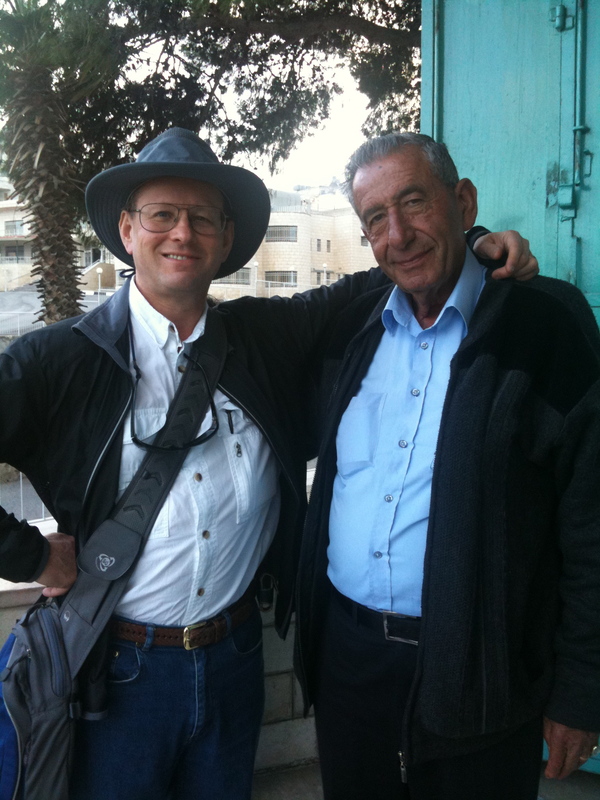 We will sadly miss Efrem and our trips to Bethlehem will never be the same. God rest his soul! Here is Efrem reciting the OUR FATHER for one of our groups. It is in Aramaic, the language of Our Lord.